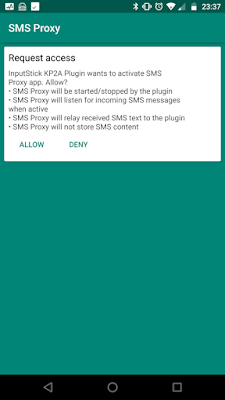 This update added support for SMS Proxy app. This is a work-around new Google Play Store rules that no longer allow the plugin to receive SMS directly. 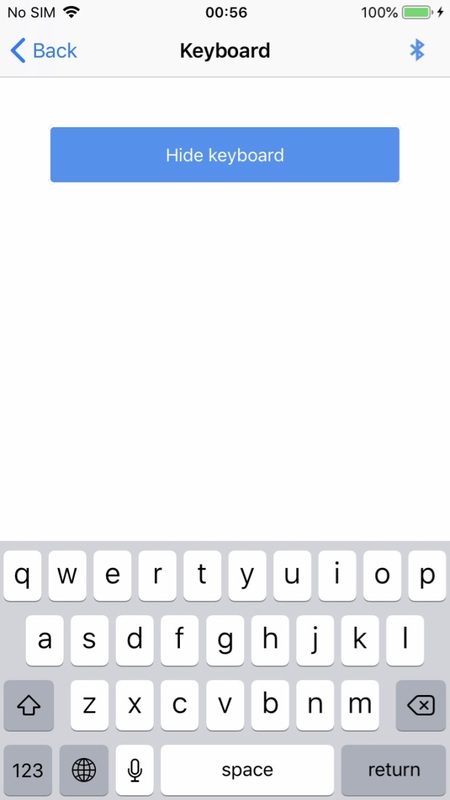 If you often receive authentication codes via SMS and want to use the plugin to type the codes, try SMS Proxy app. 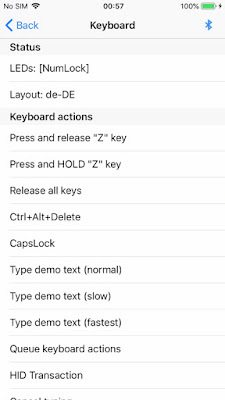 If you type text from SMS occasionally, you can copy text to system clipboard and use Type from clipboard option instead. 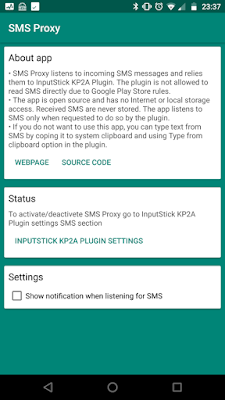 Since January 2019 InputStick KP2A Plugin can no longer listen to incoming SMS, because of new Google Play Store rules. Only way to type authentication codes received via SMS was to do so by coping SMS content to system clipboard. However this method is not ideal for users that received dozens of SMS codes every day. SMS Proxy app is a solution to this problem. Since it is distributed as .apk file it is not affected by Google Play regulations. 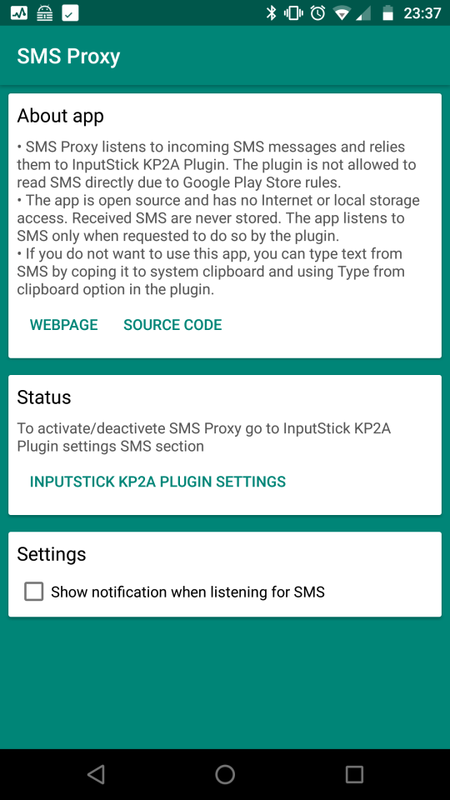 You should use SMS Proxy app only if you often receive authentication codes via SMS and want to use InputStick KP2A Plugin to type the codes. 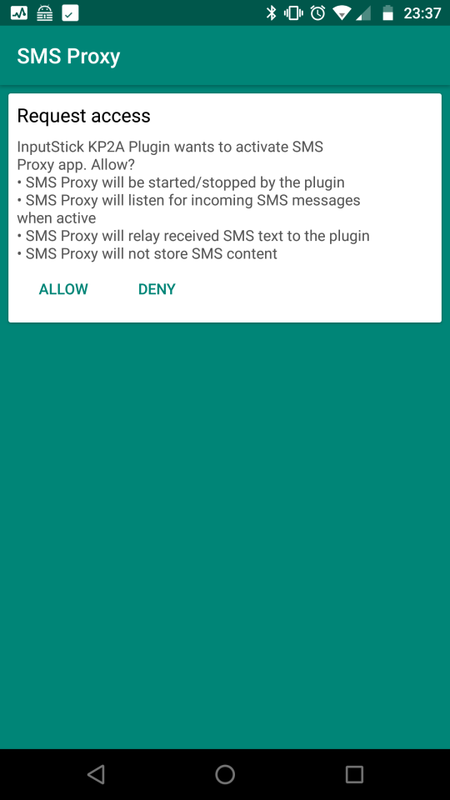 SMS Proxy is supported by InputStick KP2A Plugin v1.36 and later. 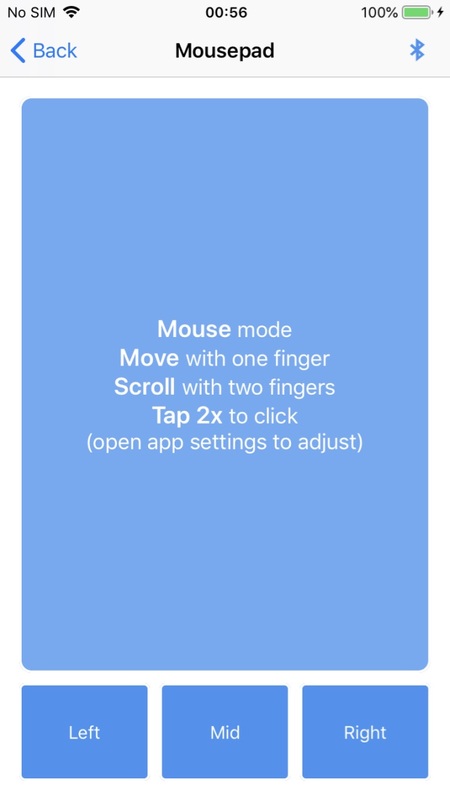 new scroll wheel mode allows for more precise control of scroll wheel rotation and makes it easier to scroll through a lot of content. 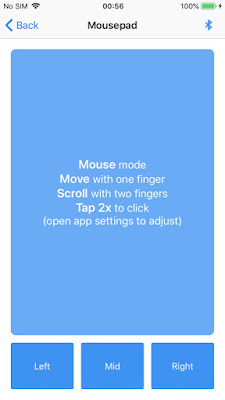 To enter scroll wheel mode touch mousepad area with two fingers (you should start at the center of the area). 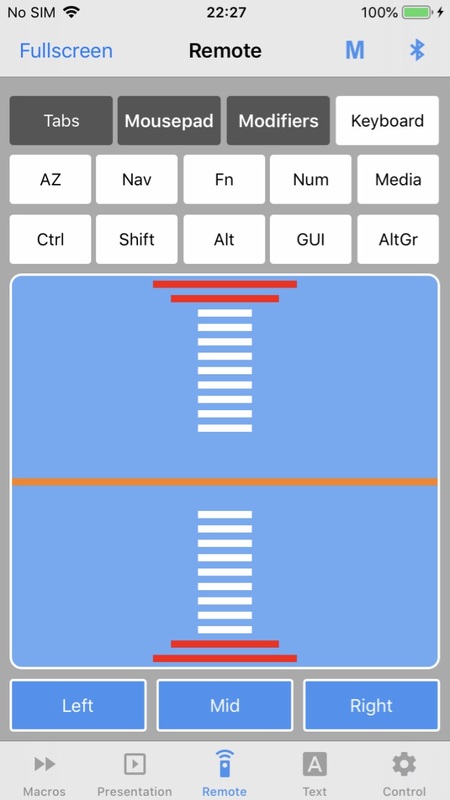 Move orange line to scroll up/down, move above (below) red lines to lock scroll wheel rotation (slow/fast). 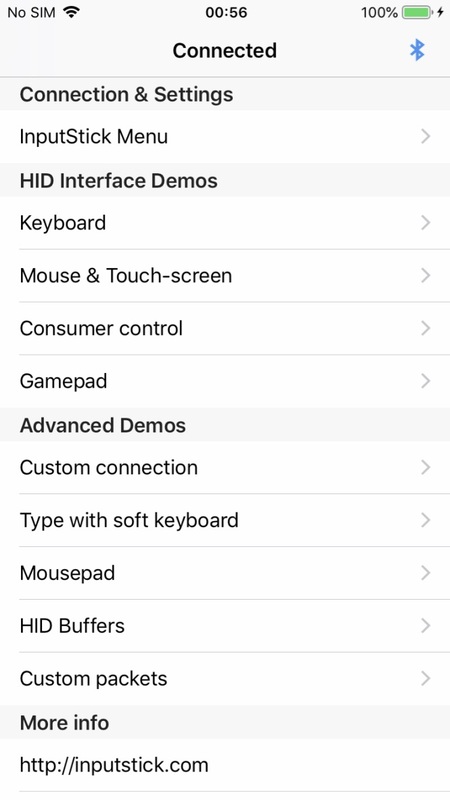 Scroll wheel sensitivity can be adjusted in app settings. InputStick iOS API has just received a major update. in order to comply with new Google Play store requirements, option to intercept incoming SMS messages (that allowed to type text from SMS) was removed. If you think that one way is better than the other, or that there is a better way to solve this problem, leave comments below. Android version of InputStickUtility application will receive a major update in second half of January 2019. To make it compatible with latest Google Play requirements, InputStickService will now run as a foreground service. If your Android application connects to InputStick using InputStickService, please make sure to build your app using latest version of InputStick API. If your Android application will still use old version of InputStickAPI it may crash once new version of InputStickUtility is released. If you are not able to update your app in time, it will be possible to download current version of InputStickUtility app as .apk file. 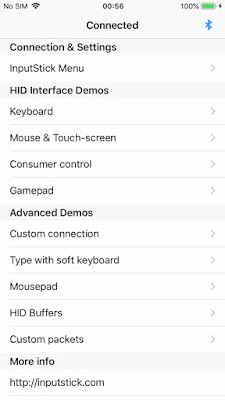 InputStickUtility update will not affect applications that implement direct connection or broadcasts to communicate with InputStick receiver. 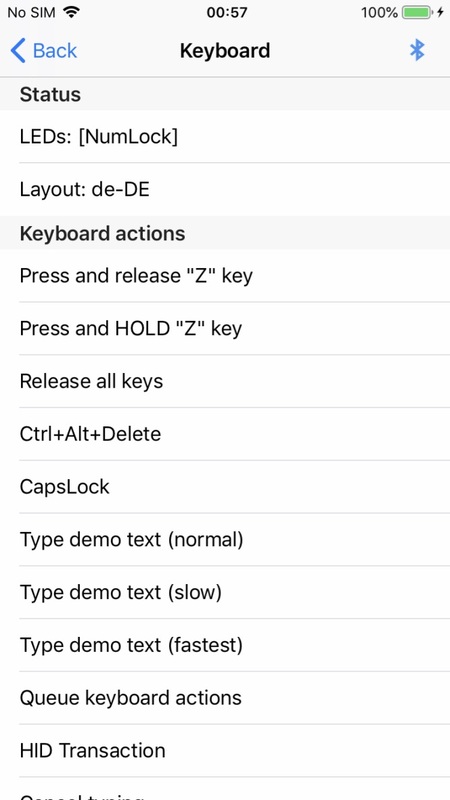 iOS versions of USB Remote and InputStickUtility apps will soon receive update making them compatible with the latest InputStick firmware (v1.00 beta and later). New firmware introduces (among other improvements) better security of Bluetooth connection by protecting against "replay attack".